After years of using a Nikon Coolscan LS-4000, bought in 2001 in Japan, I recently was able to use one of Hasselblad’s Imacon film scanners. Thanks to my friend and fellow photographer Charles Peterson, I’ve been able to go back and rescan old negatives and slides from the 1990s and early 2000s. The quality is mind blowing; it's like seeing the images again for the first time. 10,000 pixels across, sharp edge to edge, the texture, grain and tonal range is amazing. If only I had $15,000 to spend! The image here was taken in Yasothorn, Thailand in 1995. 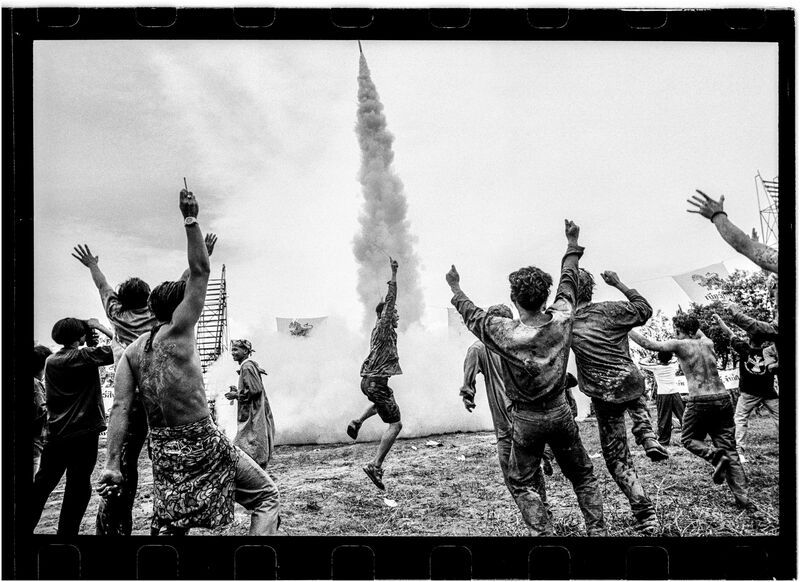 It's an annual rocket festival held just before the rainy season starts. The image was taken on a Nikon FM2, no motor drive, using Kodak Tri-X. It's always been one of my favorite images, taken early on in my career, and one of the few that gives me confidence to say I'm a "decent" photographer! From the rocket flying up center of the frame, with the single isolated rocket maker leaping and pointing directly up the trail of his rocket, to all the leaping hands and the man on the left pointing with a cigarette that mirrors the rocket, all the elements of the frame come together perfectly. With my old scanner I was never able to get a full frame scan showing all the rocket, plus I was never able to get a scan that was sharp edge to edge. I'll hopefully be scanning in more work in the weeks to come and will share those images on my Instagram feed.